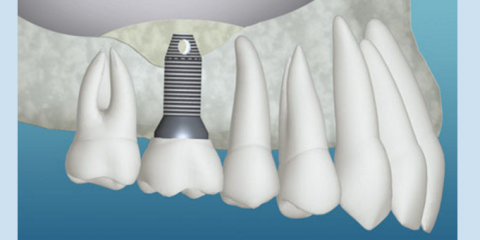 Patients might think that dental implants are only imperative for the front teeth. After all, they’re easier to care for and are inherently more noticeable than molars. Yet, caring for the teeth in the back of your mouth is just as important as caring for your front teeth, and this care includes replacing any back teeth that are beyond repair. To help you understand the critical roles your back teeth play, the team at SoundView Oral & Maxillofacial Surgery in New London, CT, is here to explain why it is so important to replace any highly damaged teeth. To Prevent Bone Loss: The absence of back teeth can cause the bone that once supported them to wear away as well. To maintain the integrity of your bone structure and prevent the need for jaw reconstruction, your dentist will likely recommend visiting an oral surgeon to have dental implants put in as soon as possible. To Avoid Looking Sunken In: You might think that front teeth are the only teeth important in maintaining your appearance, but missing back teeth can cause the face to have an aged, sunken in appearance. Keep your face looking healthy and young by choosing to have any missing teeth replaced with dental implants. To Preserve Your Other Teeth: There’s a reason people have a full set of adult teeth—each tooth is needed to equally distribute the force involved in chewing food. When you have missing teeth in the back of your mouth, your other teeth are more likely to sustain excessive wear because they’re picking up the slack from the teeth that are absent. To learn more about how dental implants can benefit you oral health and overall appearance, call the SoundView Oral & Maxillofacial Surgery team at (840) 443-3619. You can also visit their website for more information on their additional services.